It’s DAY 11 of our 28 Day Yoga Challenge and I’m feeling very grateful for my life exactly as it is. It’s amazing that depending on our perspective, we can be deeply content or absolutely distraught, with the conditions of our life being exactly the same. I watched Oprah’s Lifeclass last night featuring Sean Penn’s charitable work in Haiti. I was incredibly touched and reminded to be thankful for all I have. If you are looking for a focus for your meditation today, try incorporating this hasta mudra with an intention on abundance and giving (to yourself or someone else). The translation for pushpaputa is “a handful of flowers” which is àpropos for this lovely symbol of giving to another. Pushpaputa is a gesture of offering. This beautiful mudra signifies openness and acceptance — of ourselves, others and the gifts of life. This gesture can help you remember the wealth the Universe has to offer and allow you to connect with abundance. It allows you to be receptive in receiving. 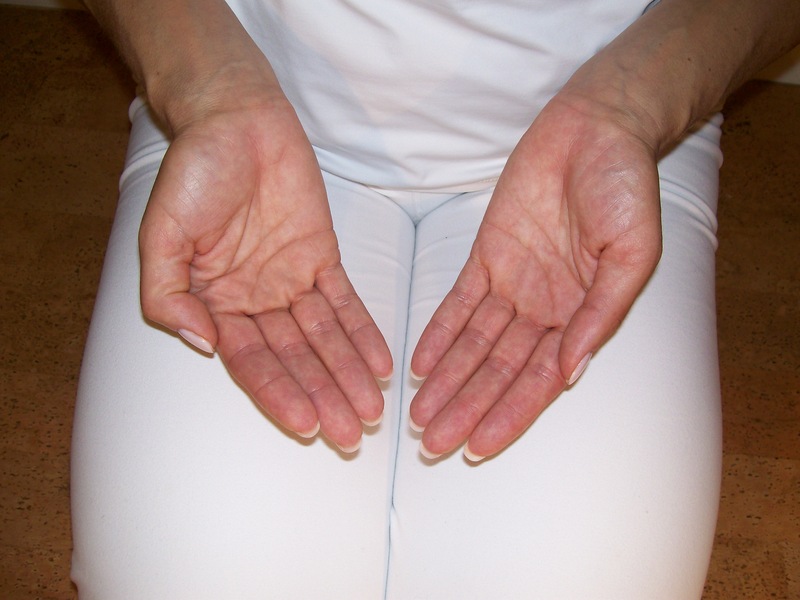 You can also use this mudra to meditate on sending an offering to someone else. The palms are open in the gesture of giving. Rest the back of your hands on your thighs. The thumbs and fingers are relaxed. The fingertips point slightly towards each other.